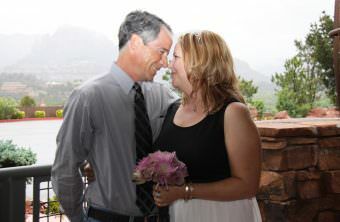 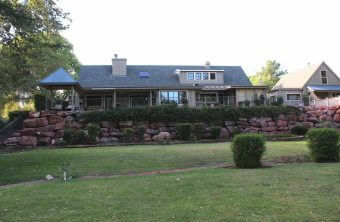 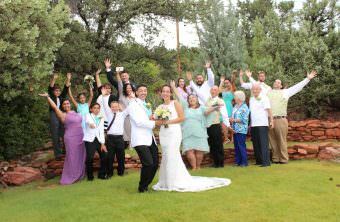 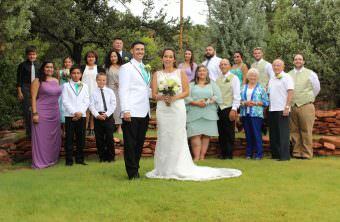 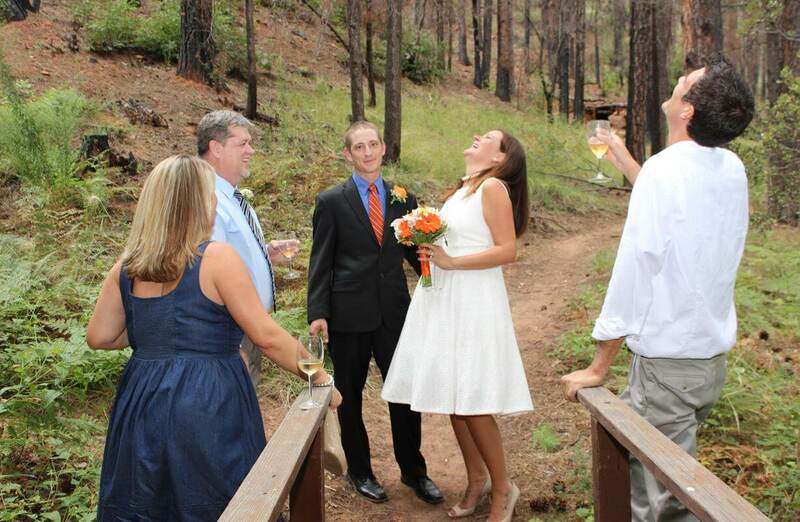 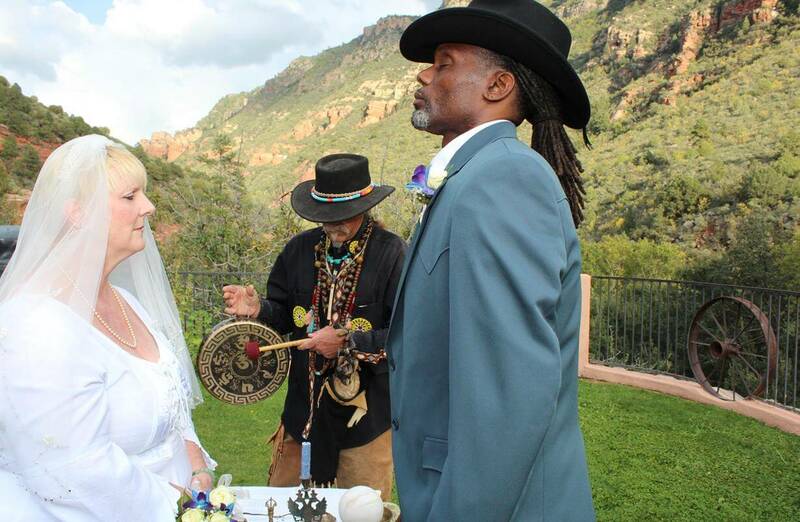 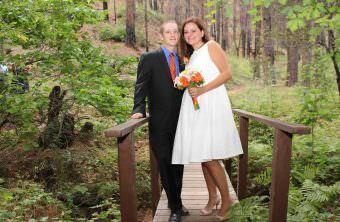 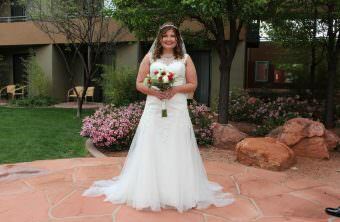 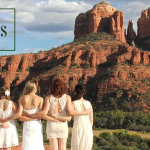 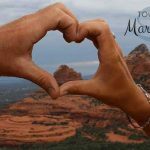 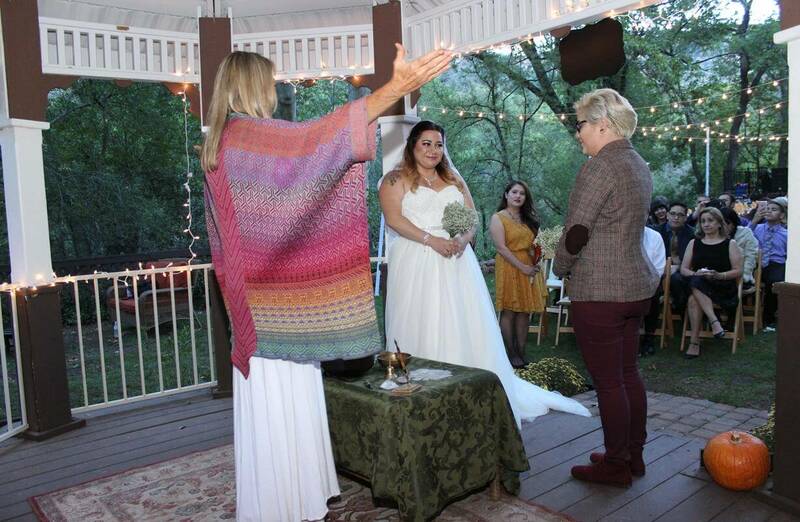 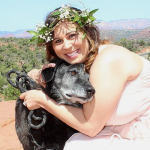 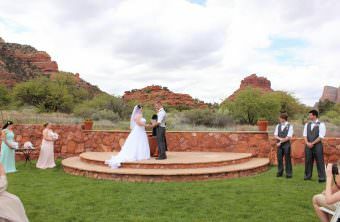 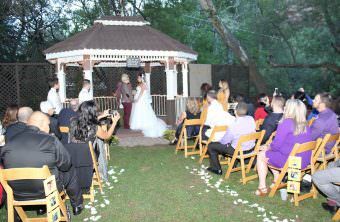 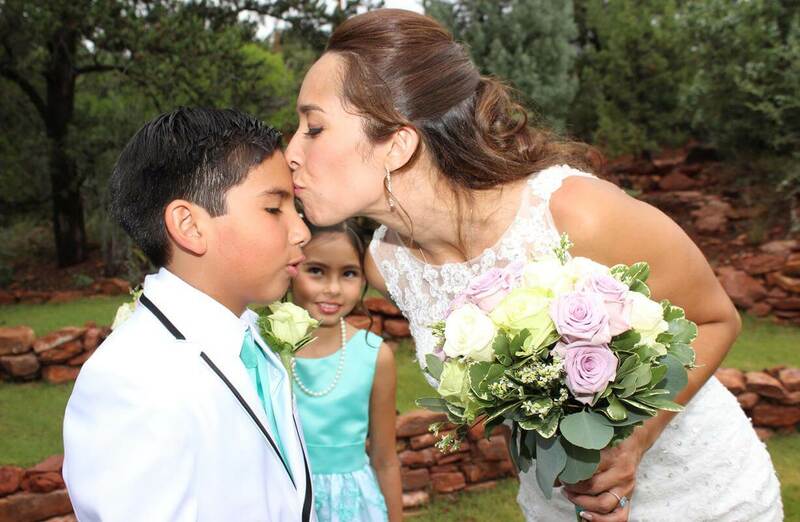 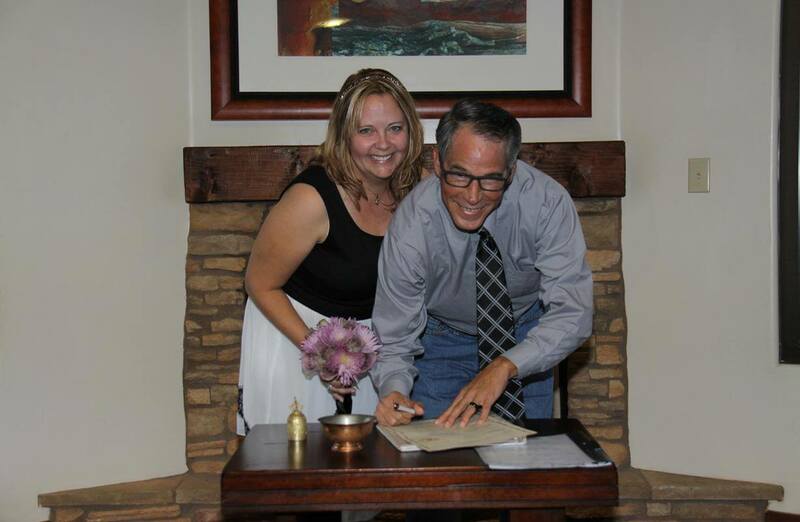 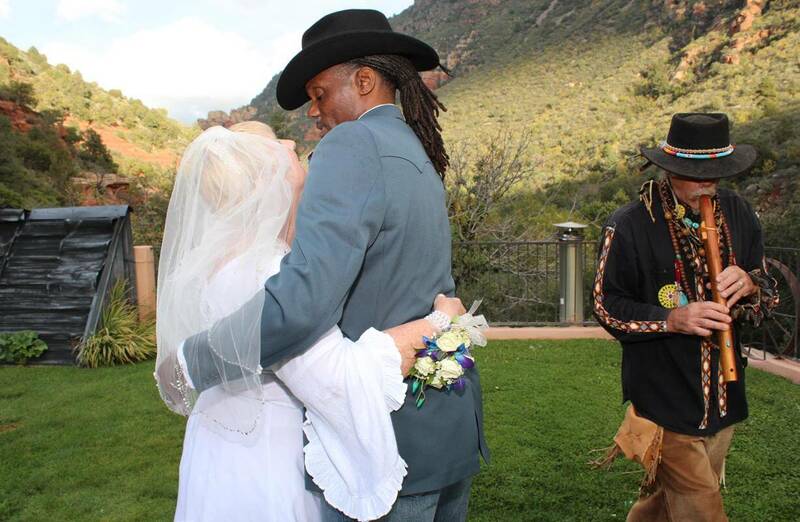 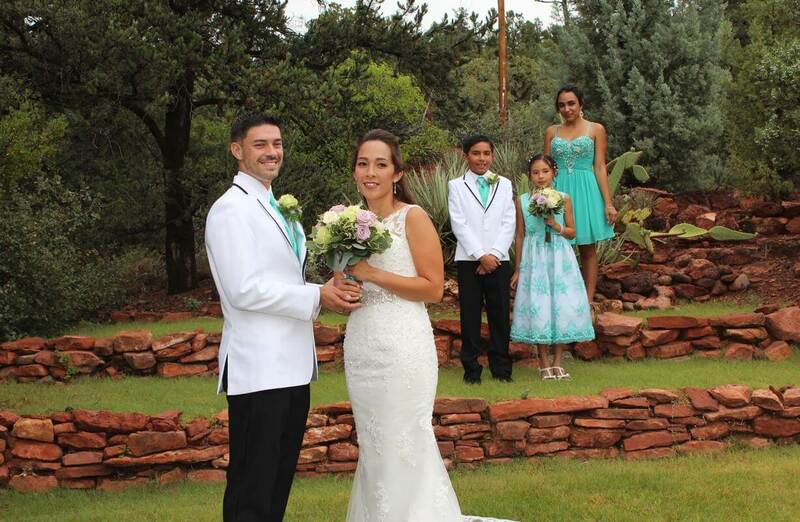 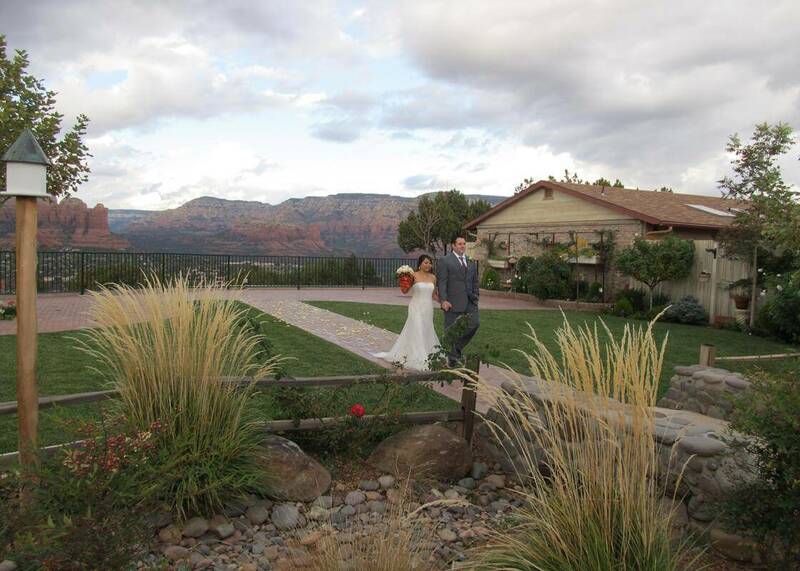 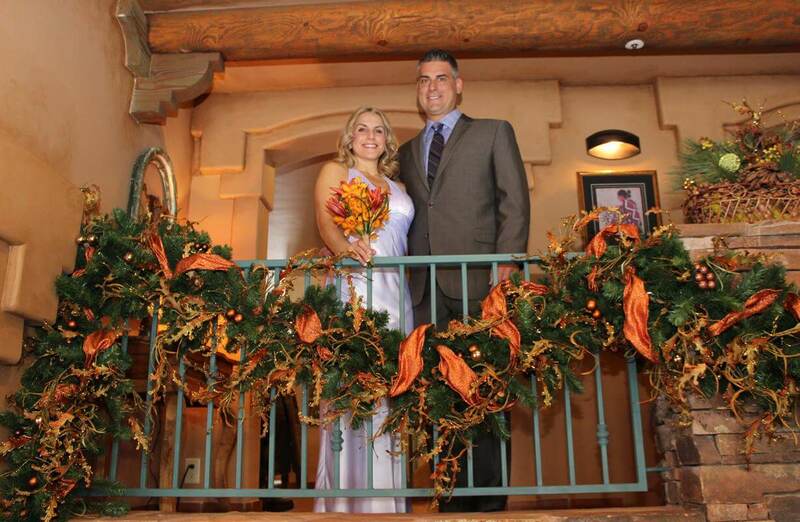 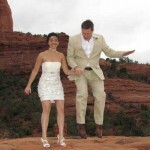 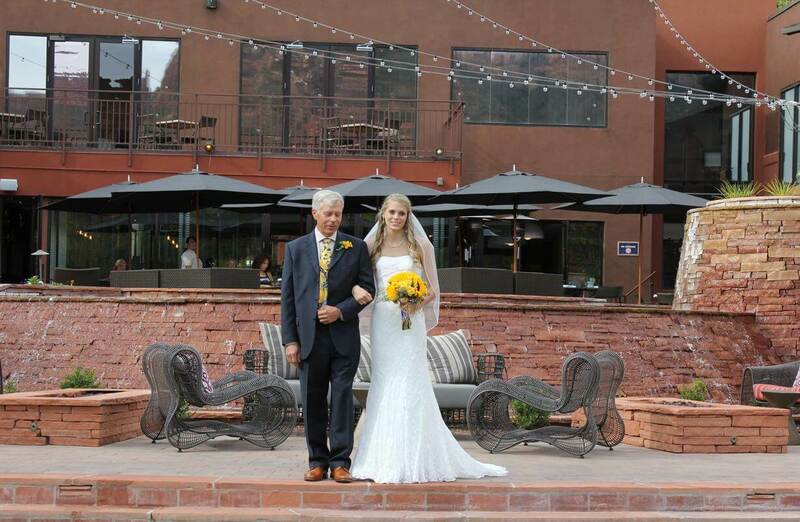 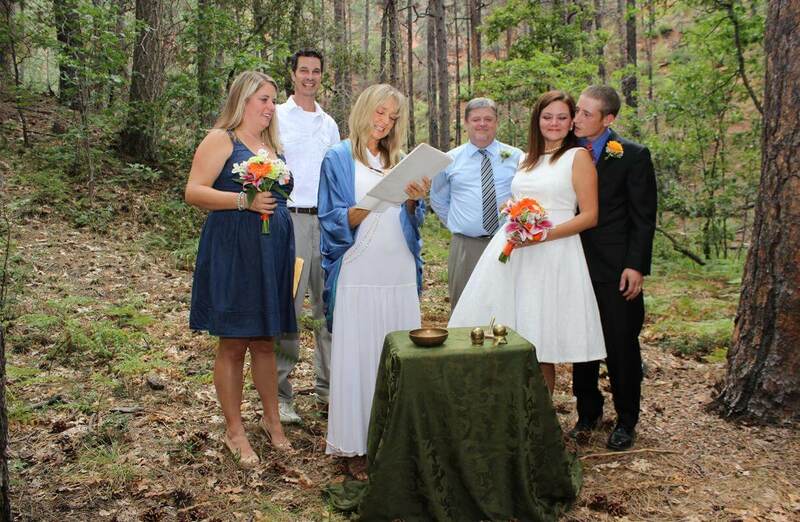 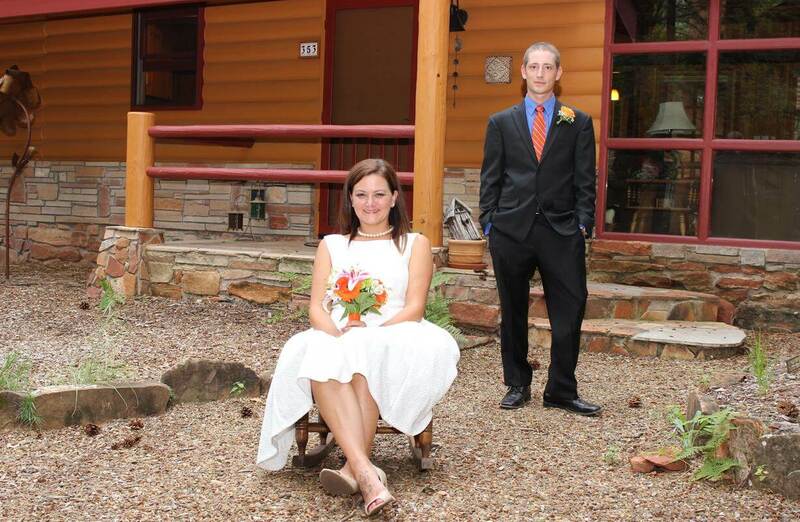 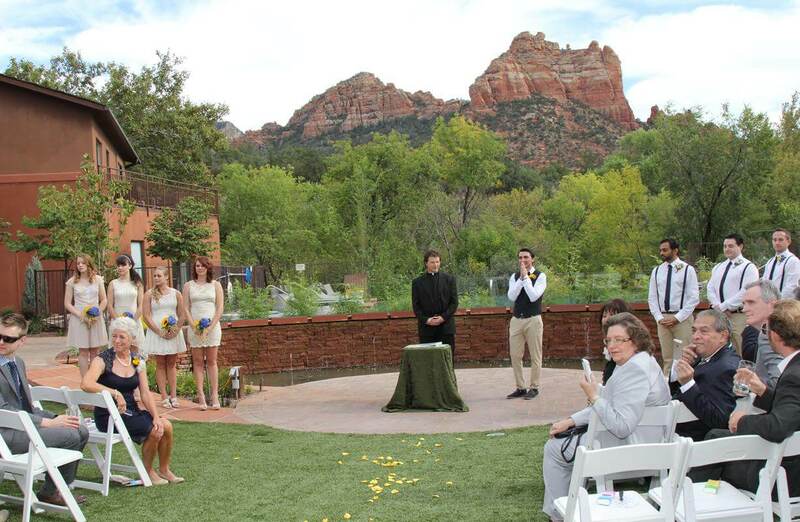 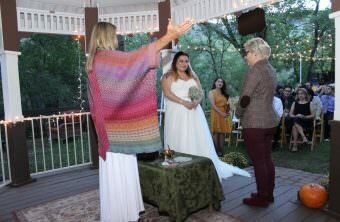 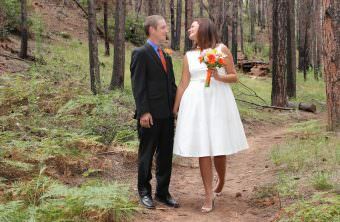 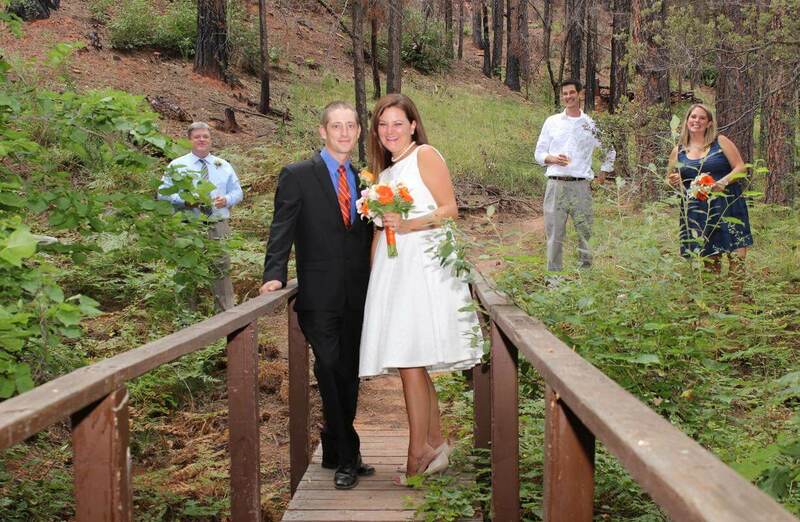 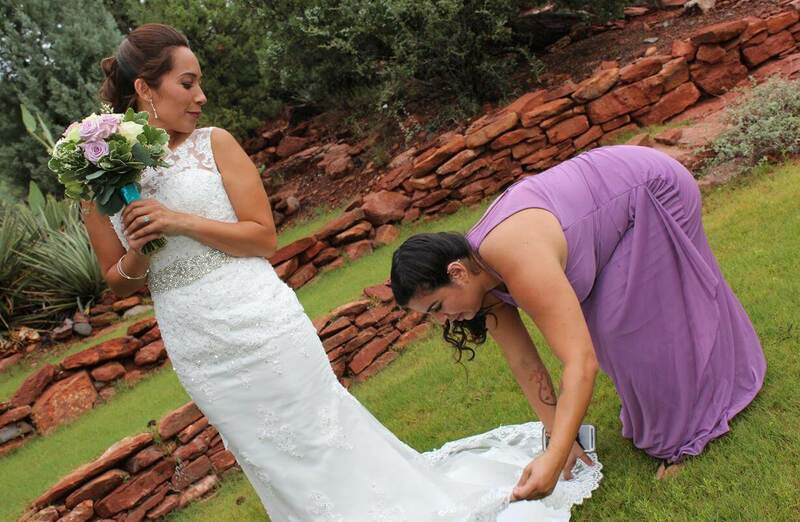 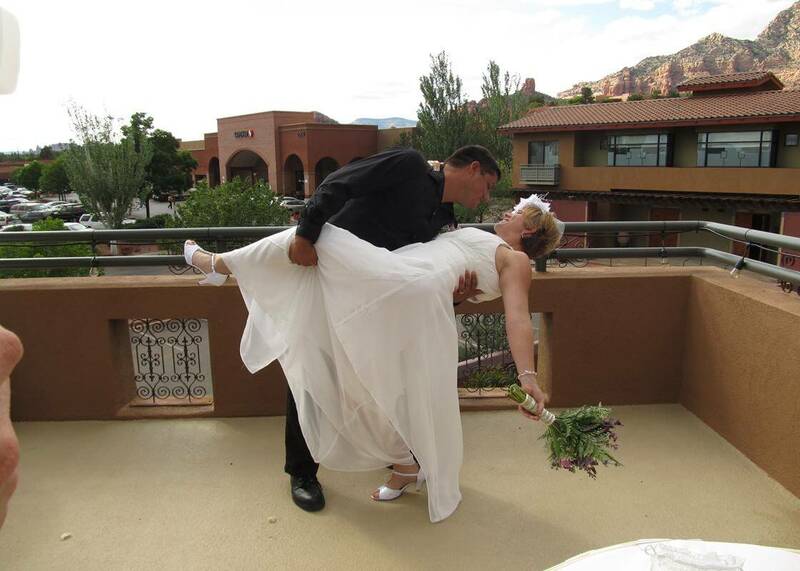 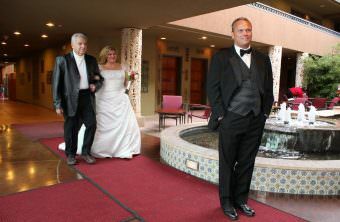 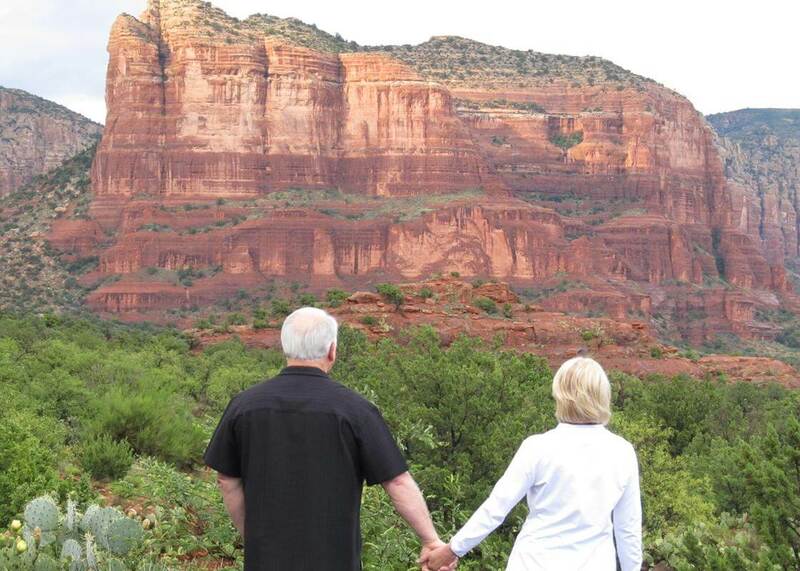 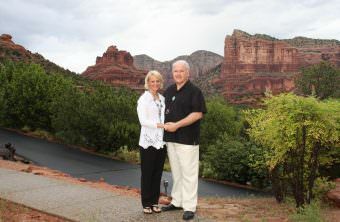 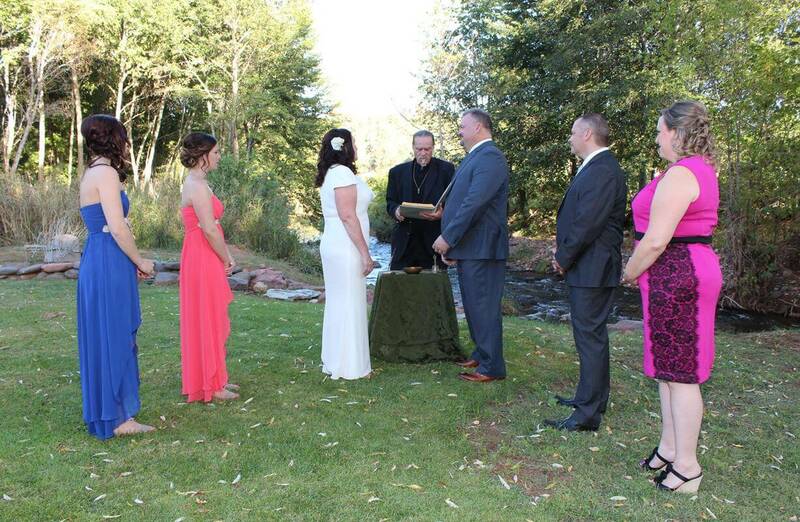 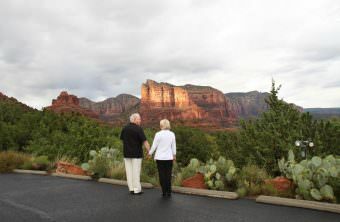 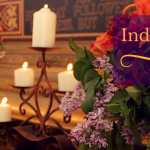 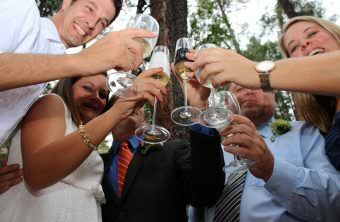 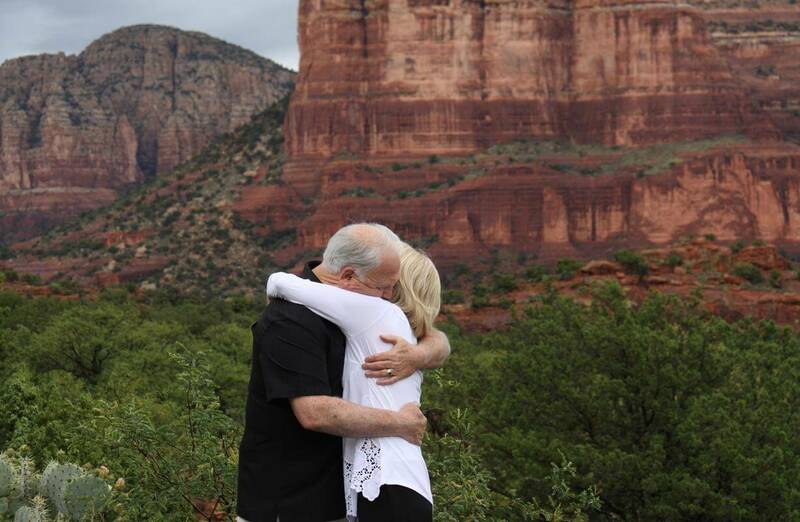 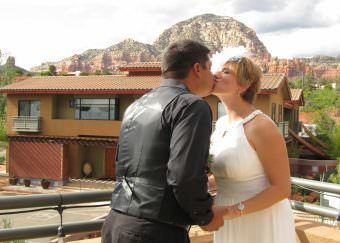 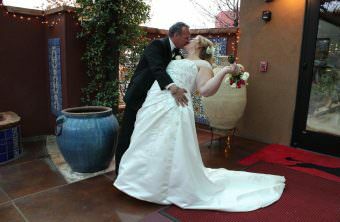 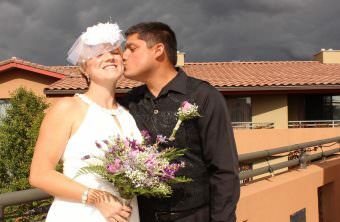 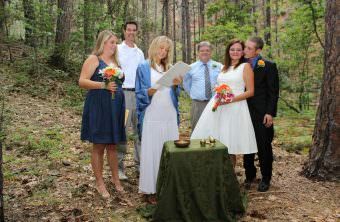 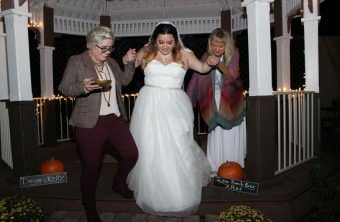 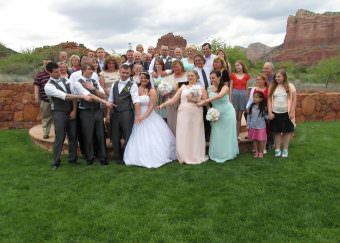 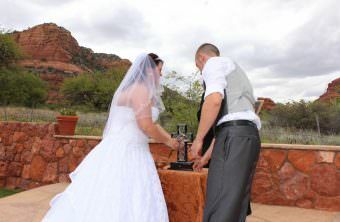 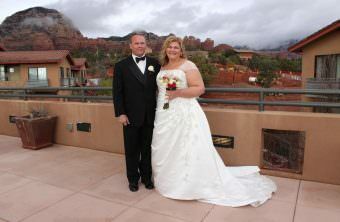 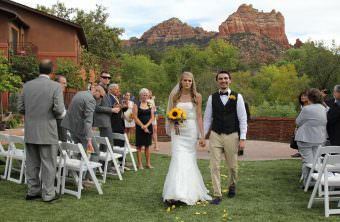 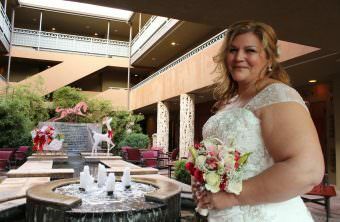 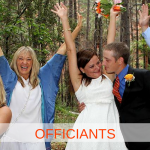 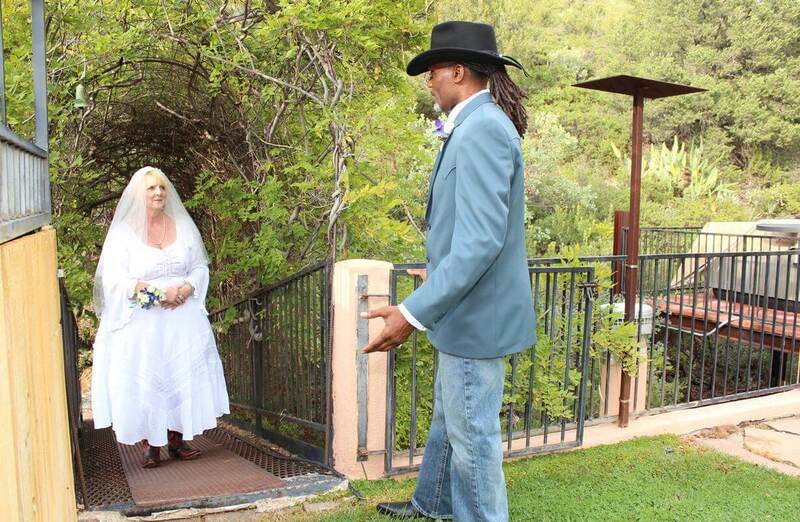 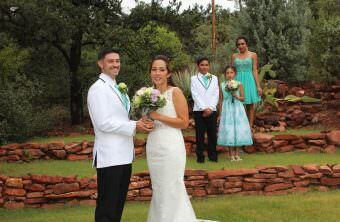 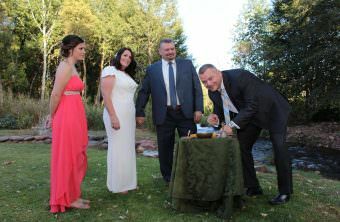 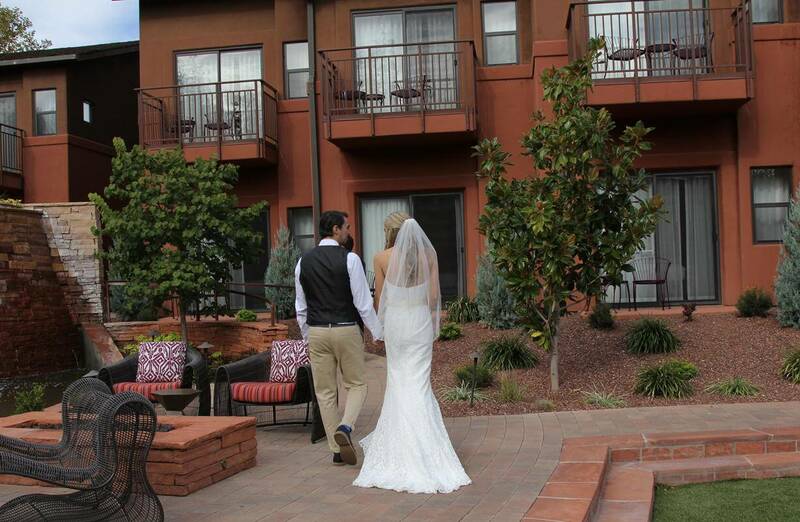 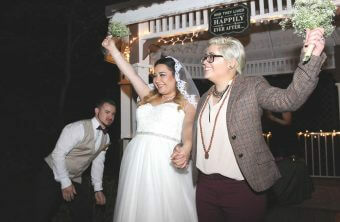 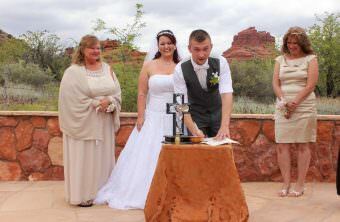 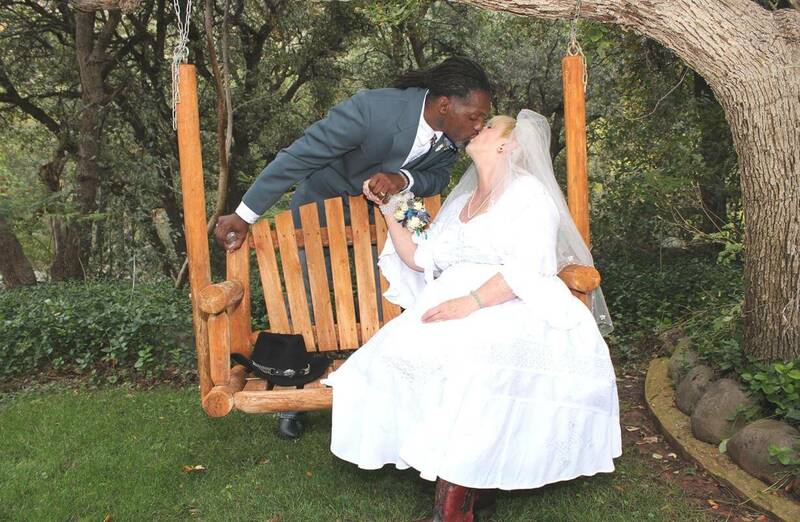 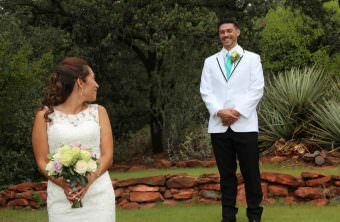 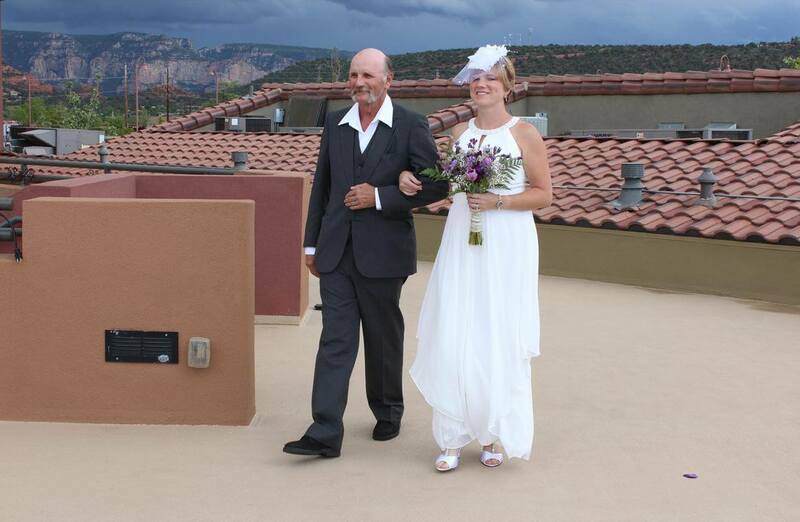 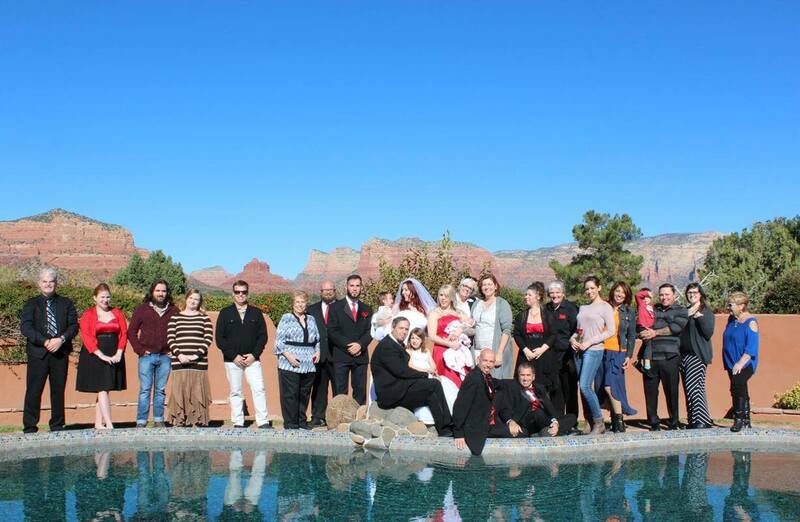 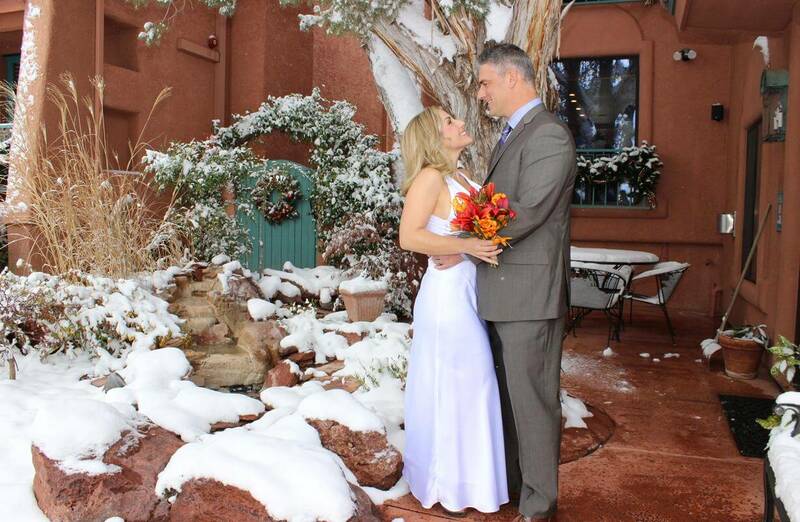 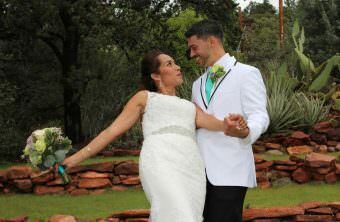 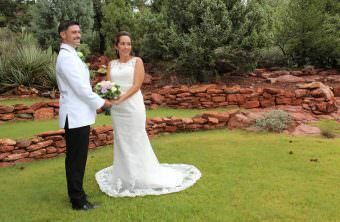 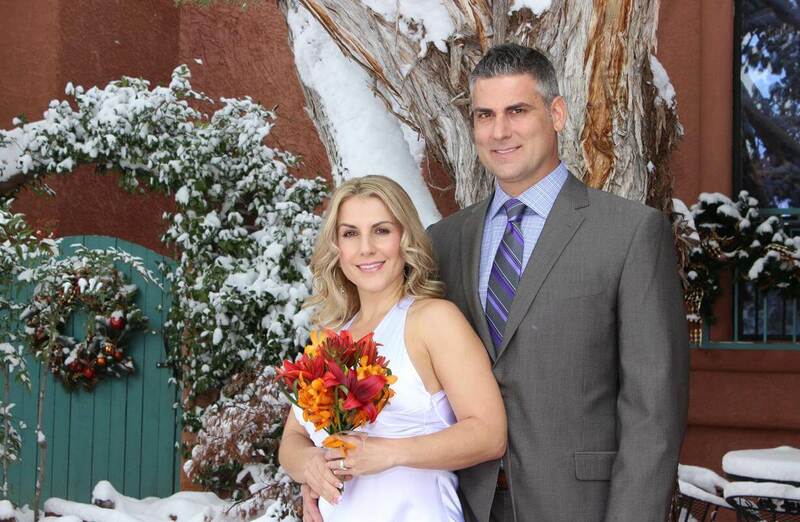 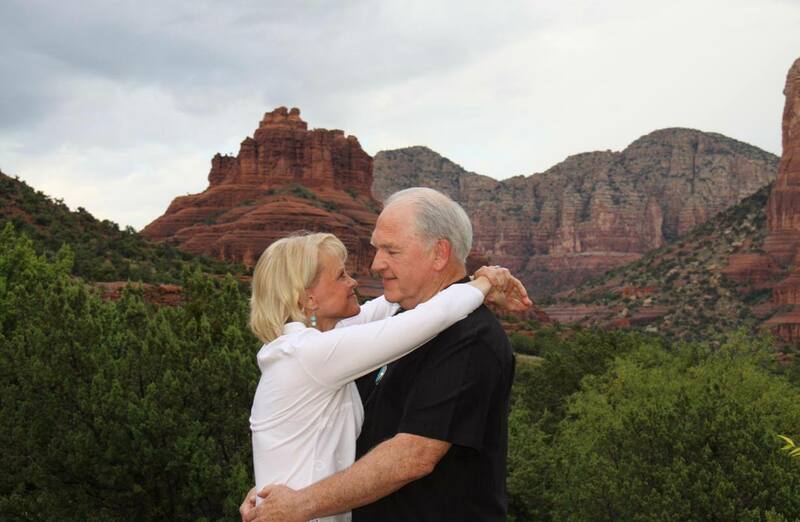 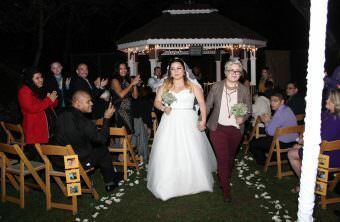 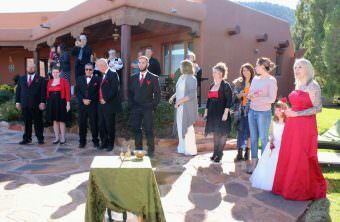 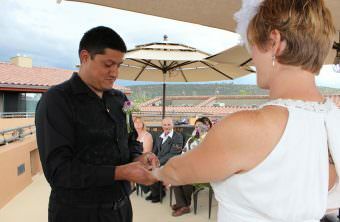 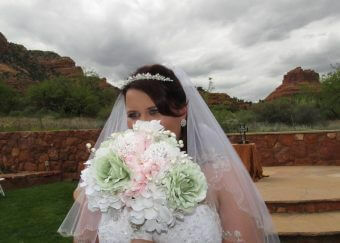 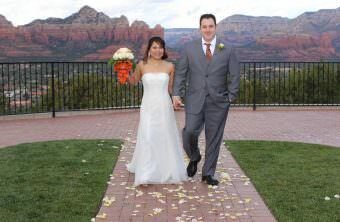 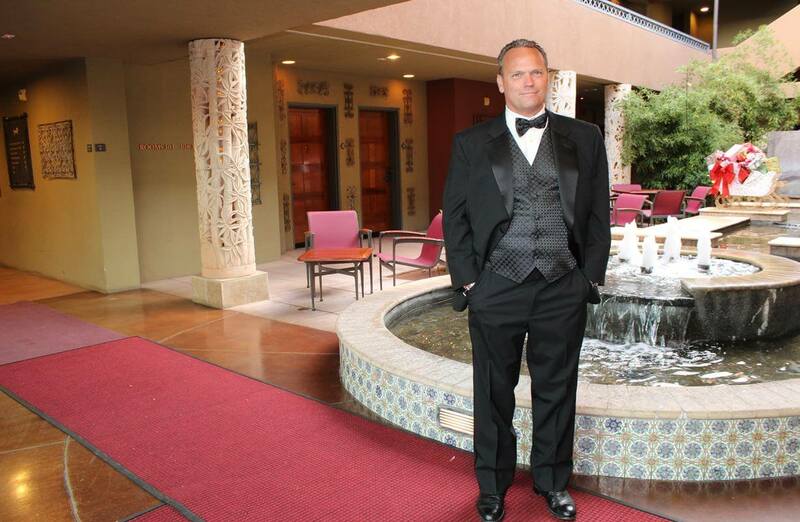 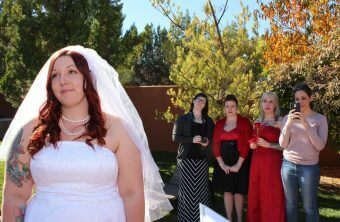 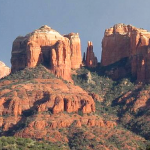 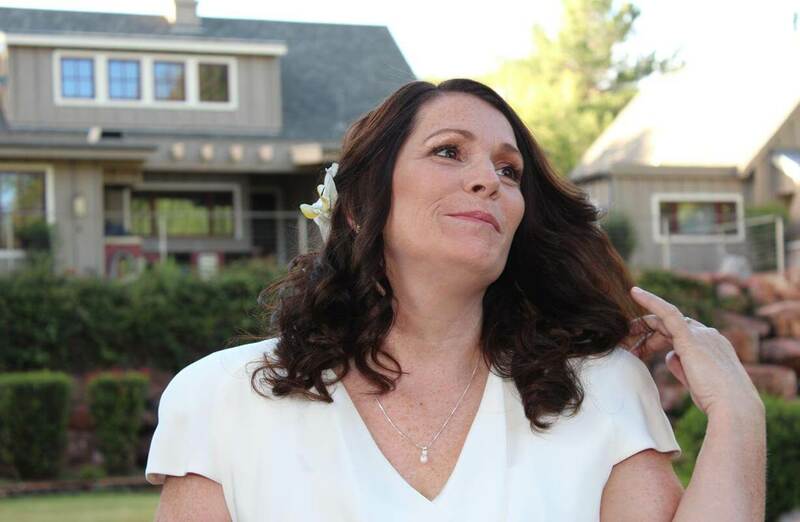 In addition to being out on US Forest Service Land and among the red rocks, there are also amazing Sedona wedding resort properties perfect for inns and B&B’s that have exquisite outdoor and indoor wedding venues with stunning views and fabulous photo opportunities. 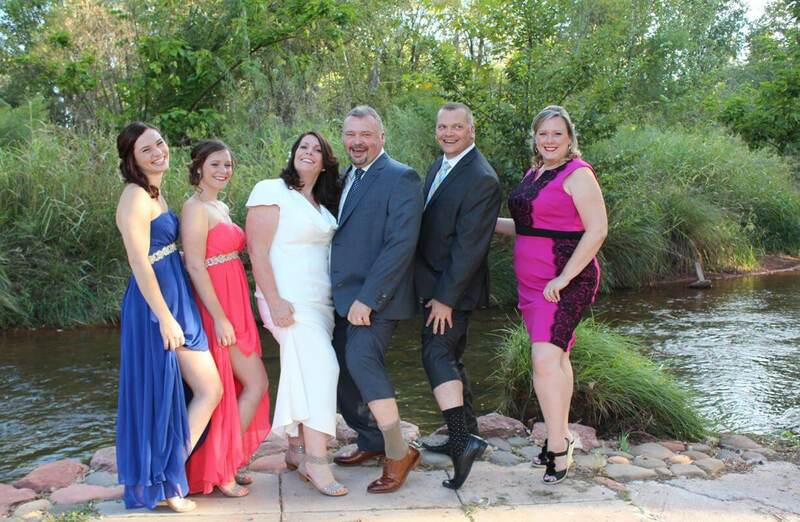 These are perfect for larger wedding parties. 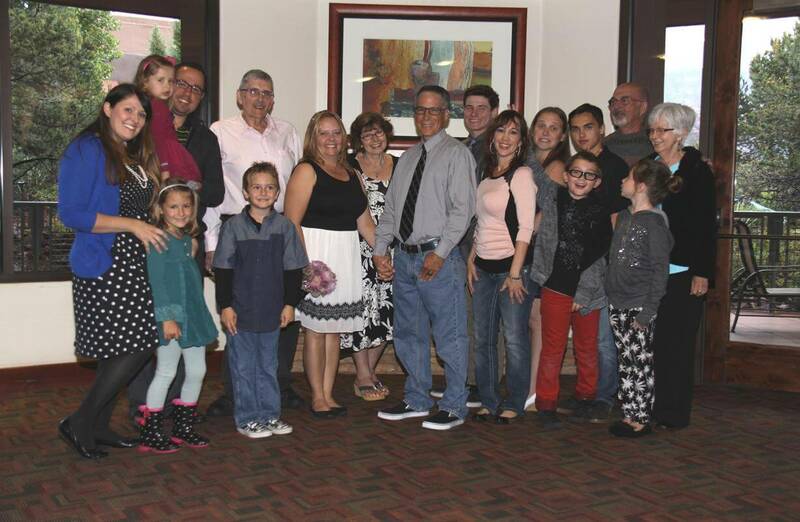 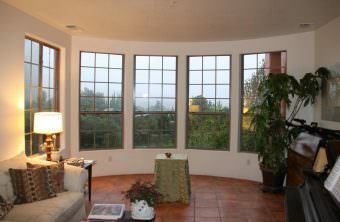 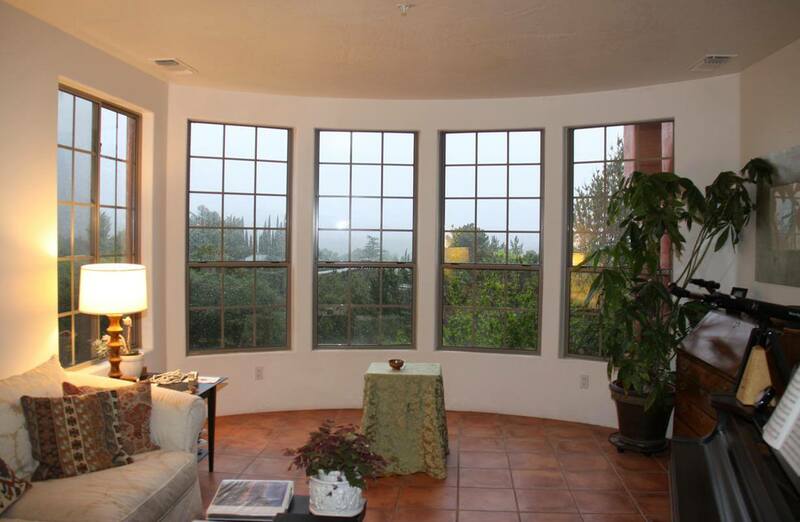 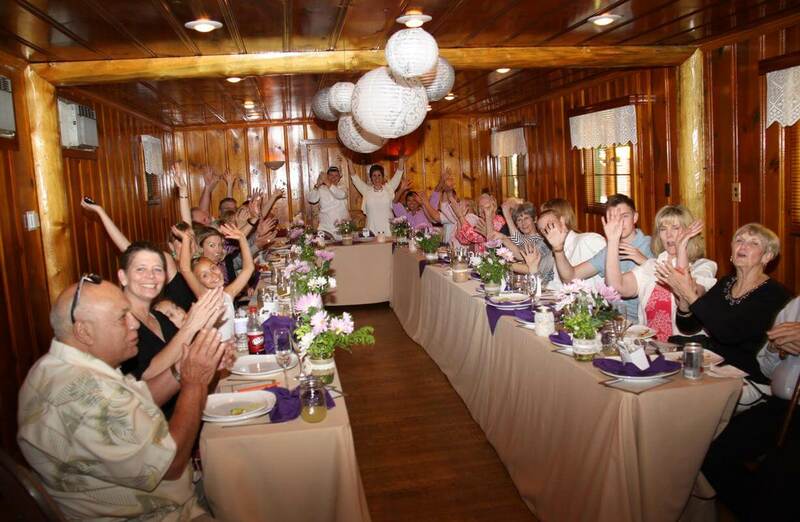 Your guests will be seated and have all the comforts of easy parking and facilities close at hand. 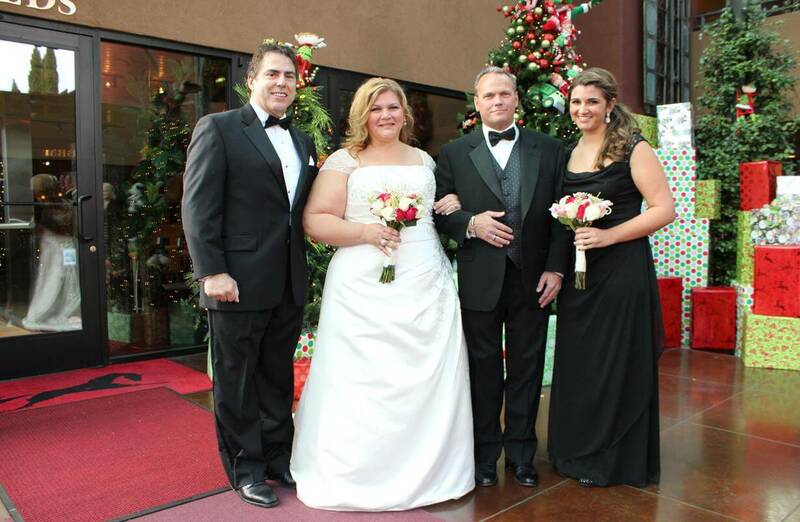 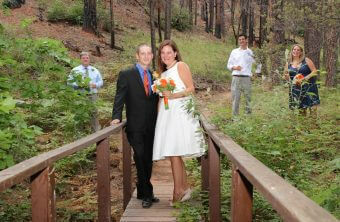 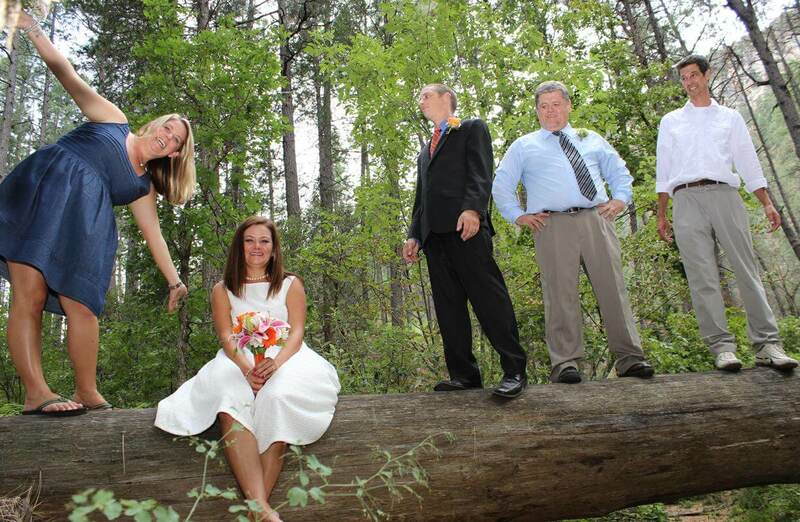 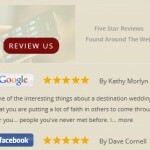 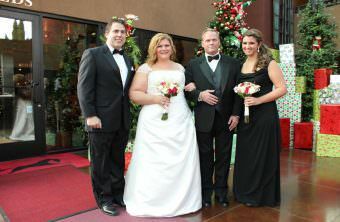 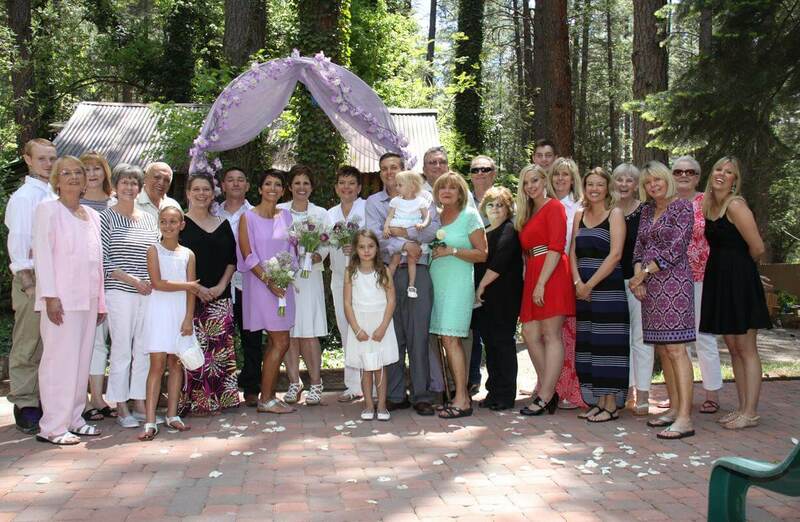 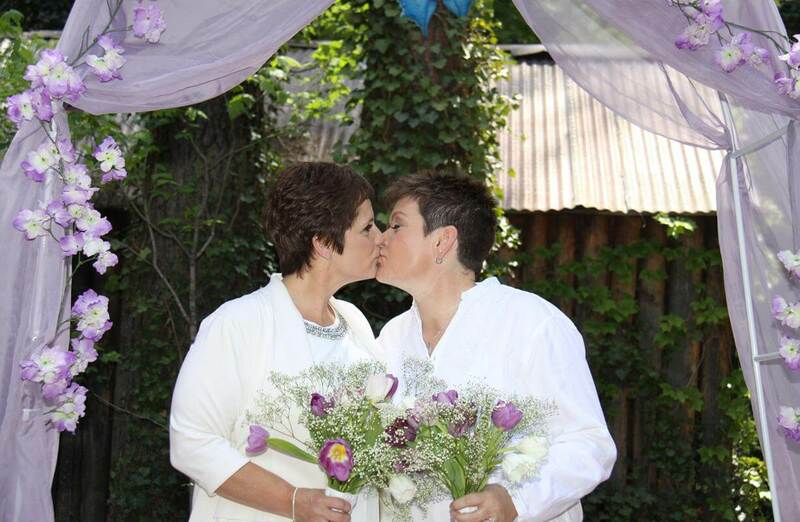 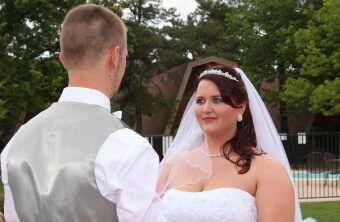 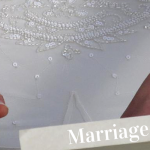 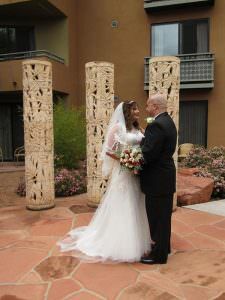 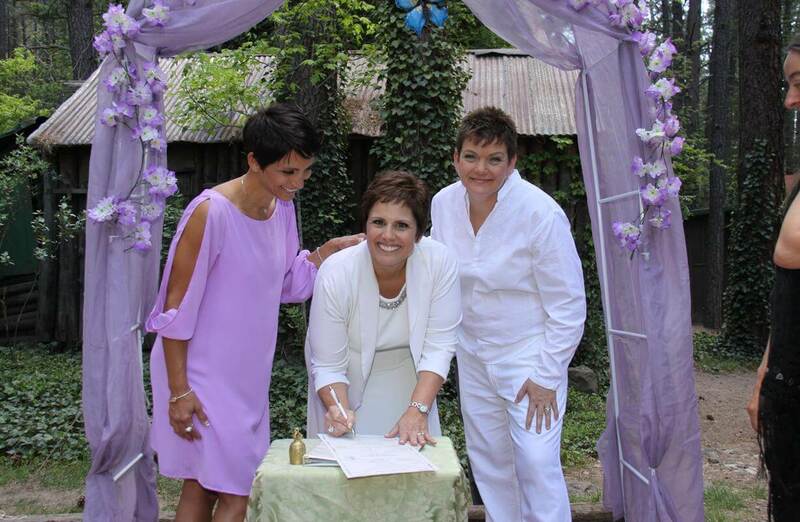 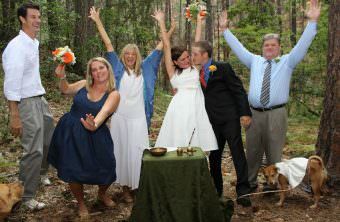 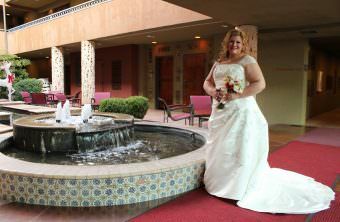 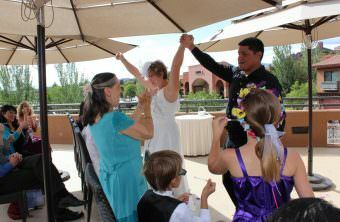 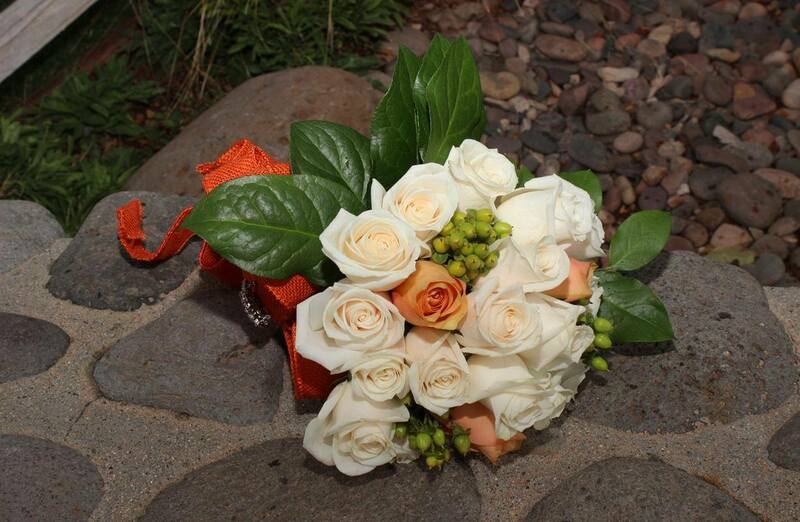 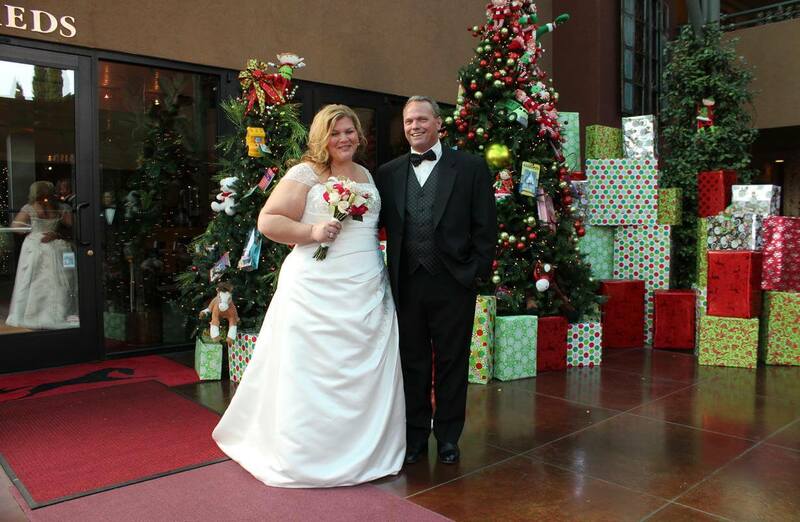 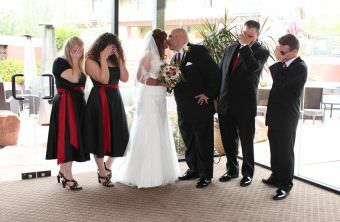 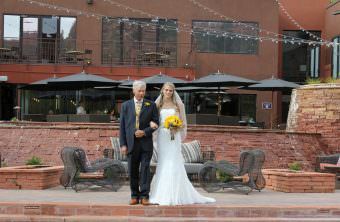 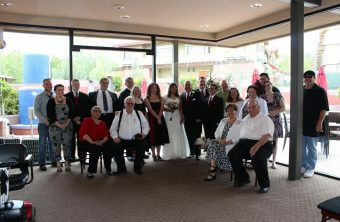 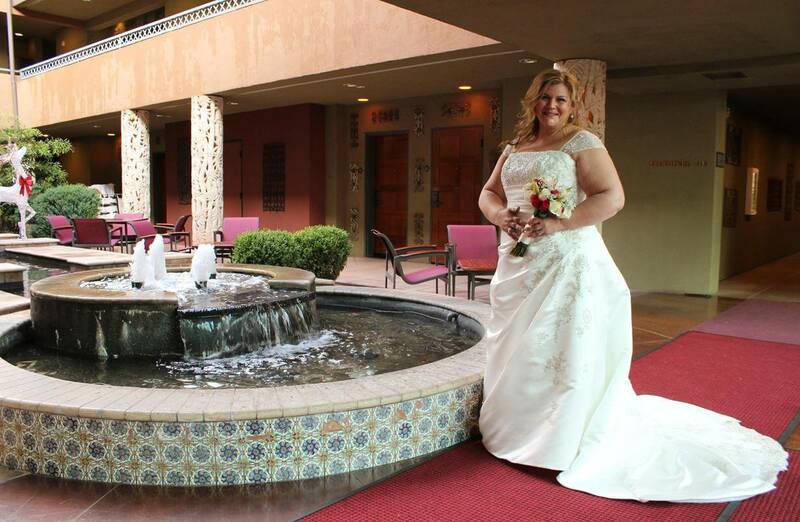 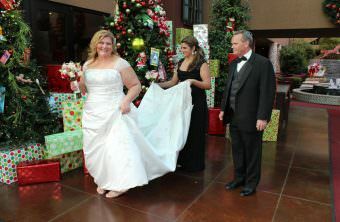 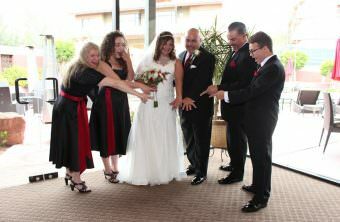 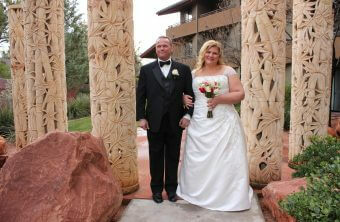 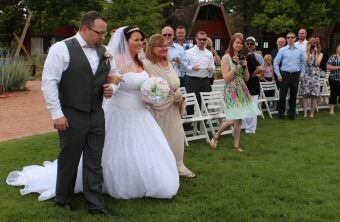 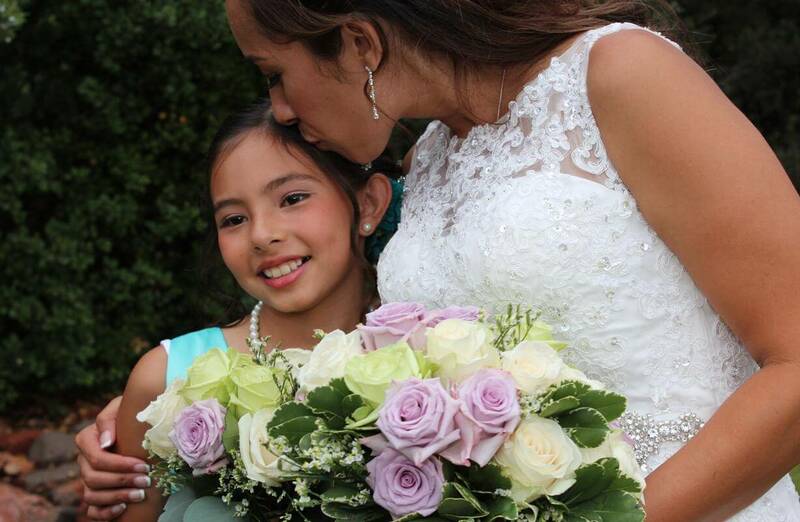 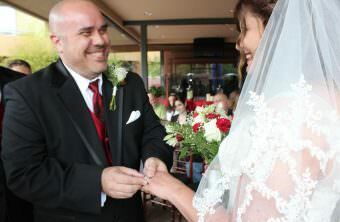 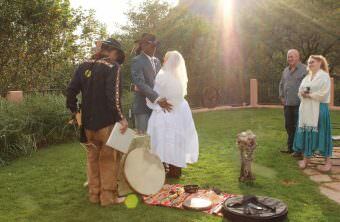 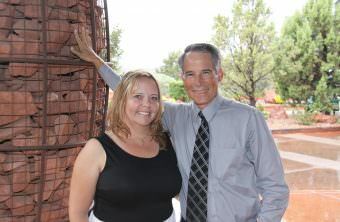 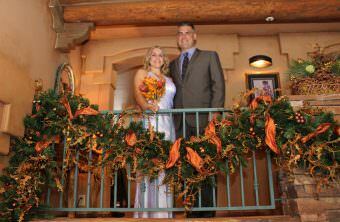 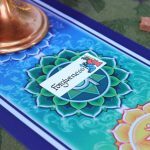 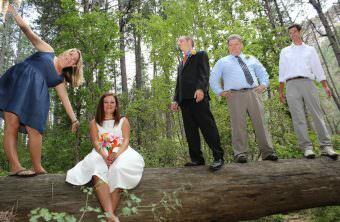 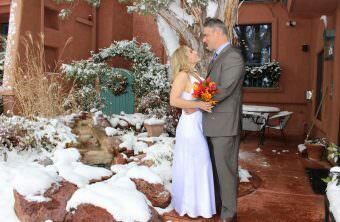 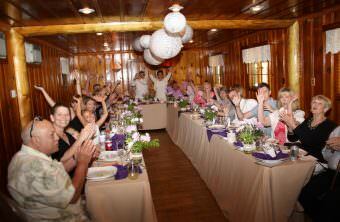 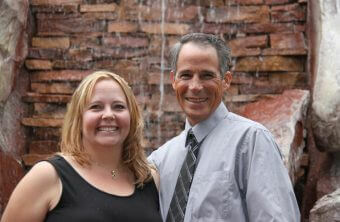 We can help you choose the best resort venue that will be perfect for you. 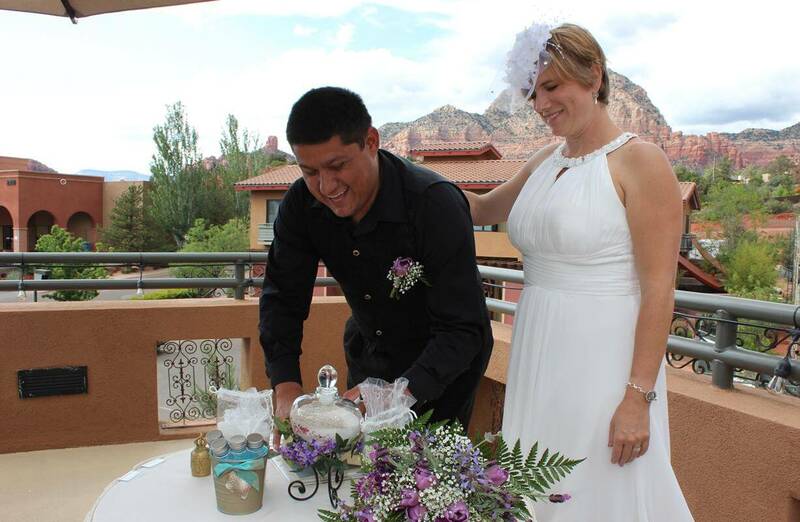 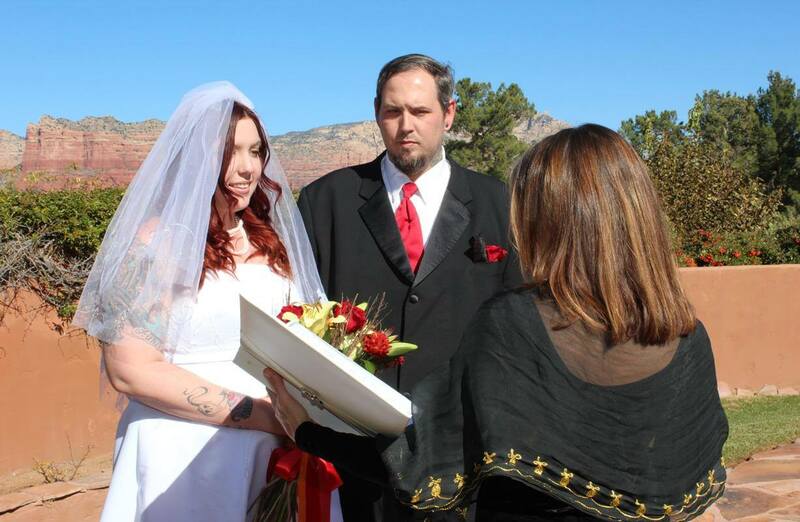 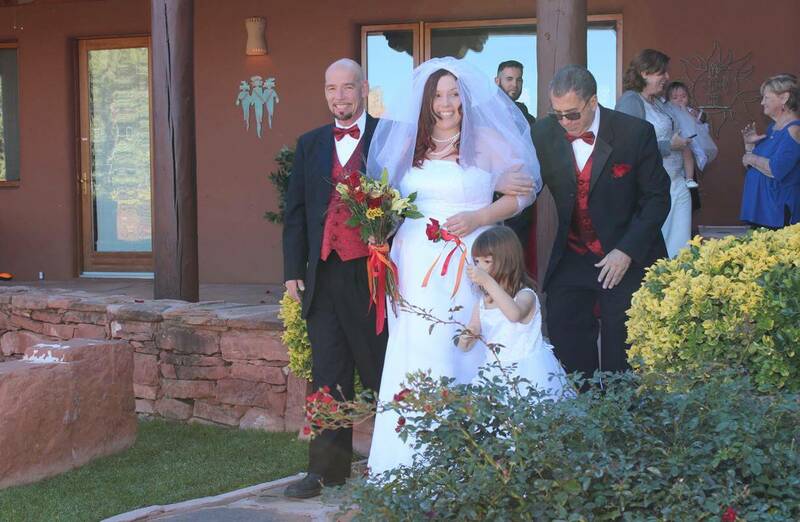 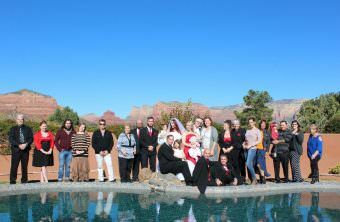 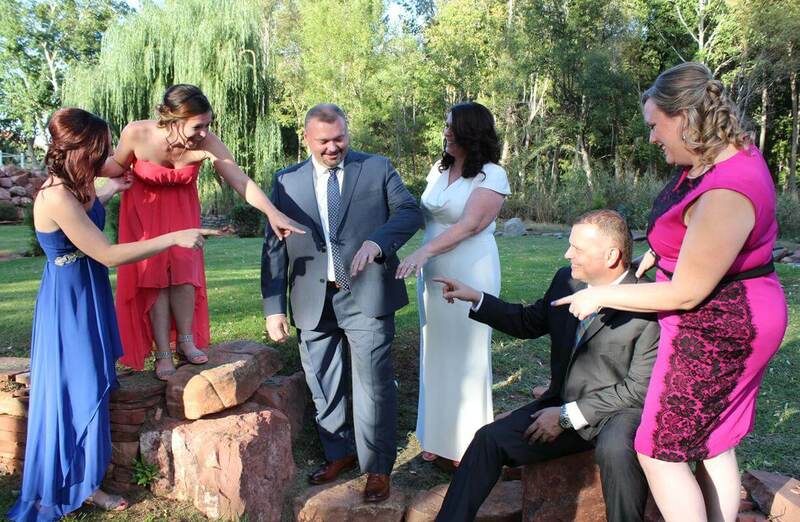 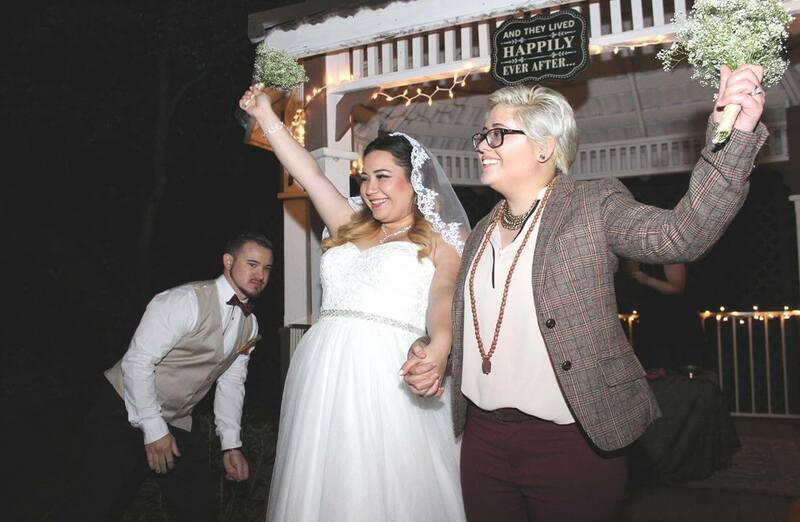 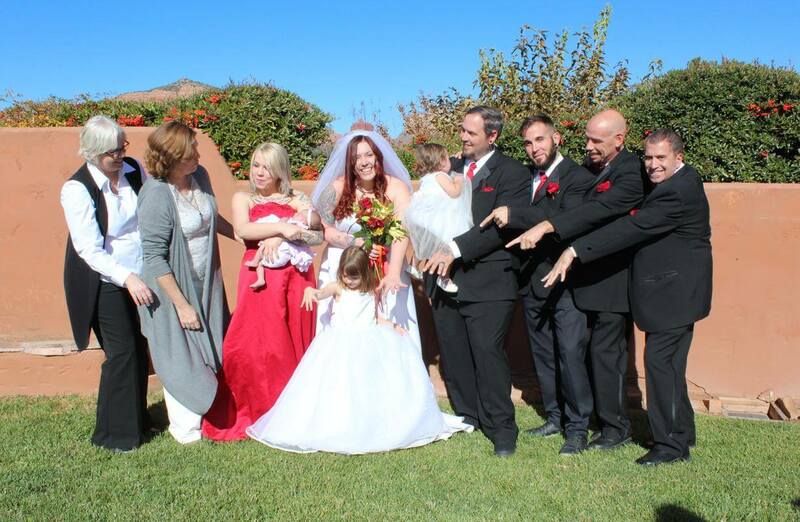 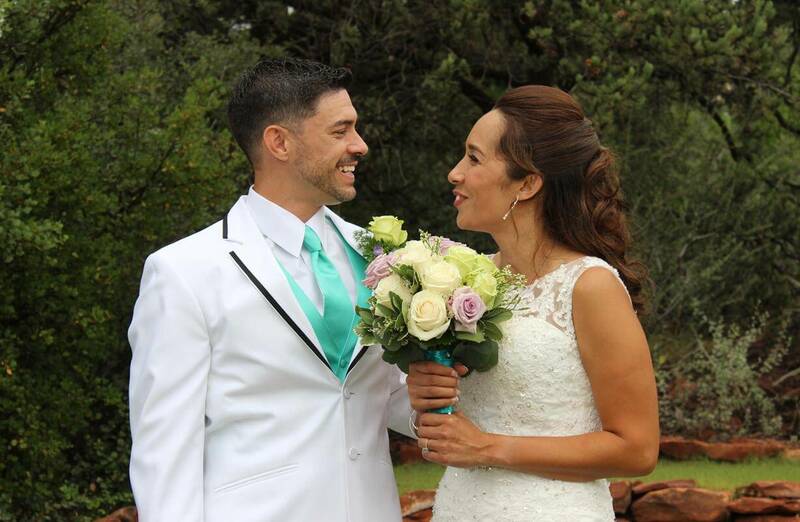 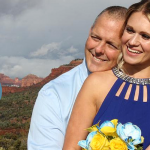 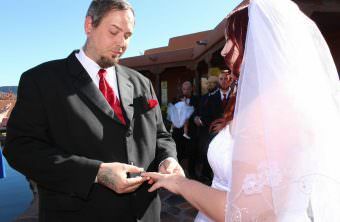 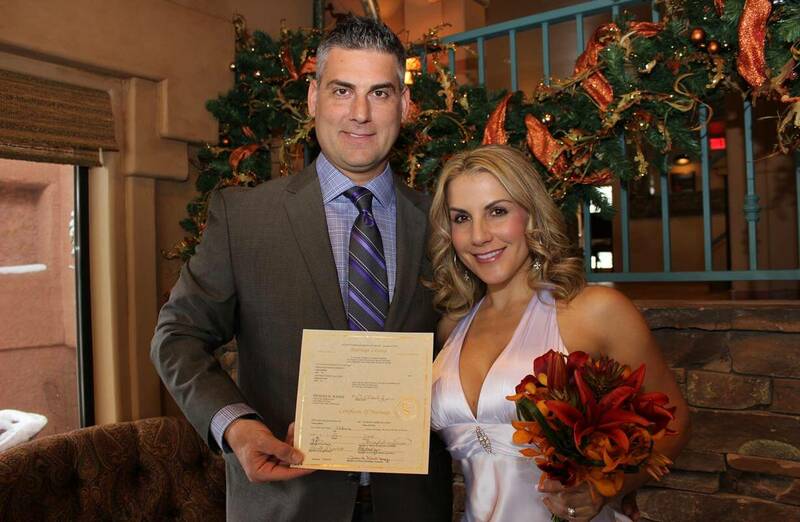 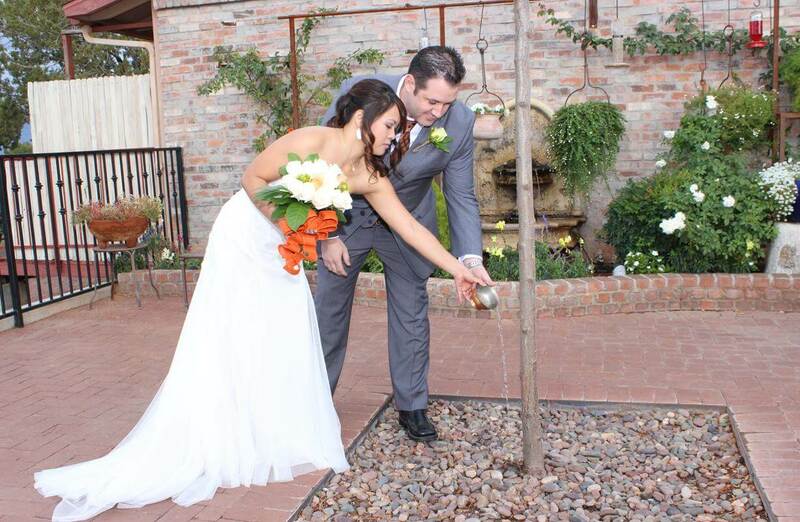 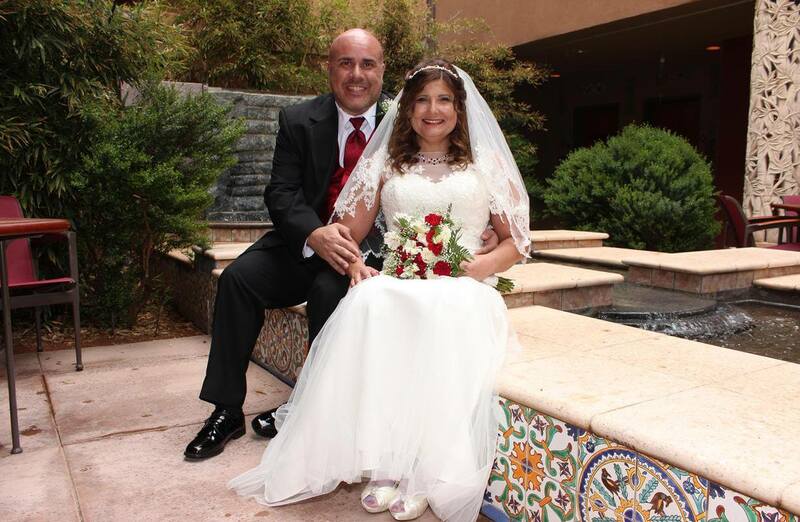 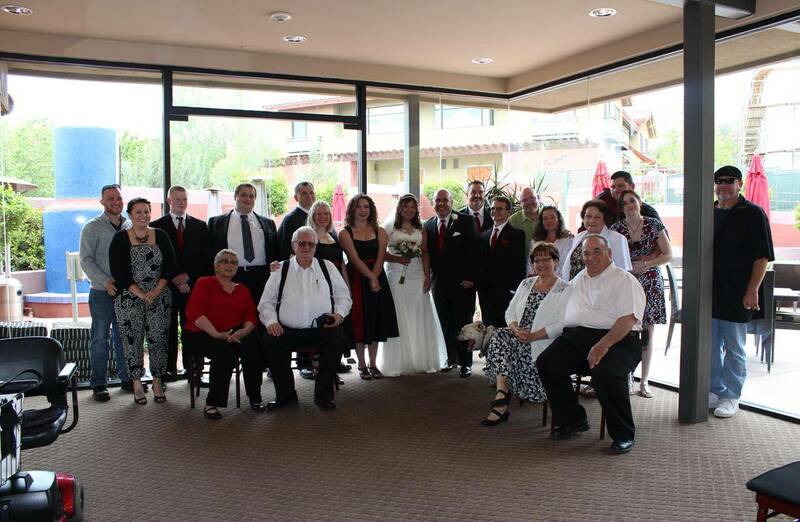 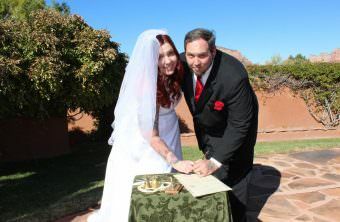 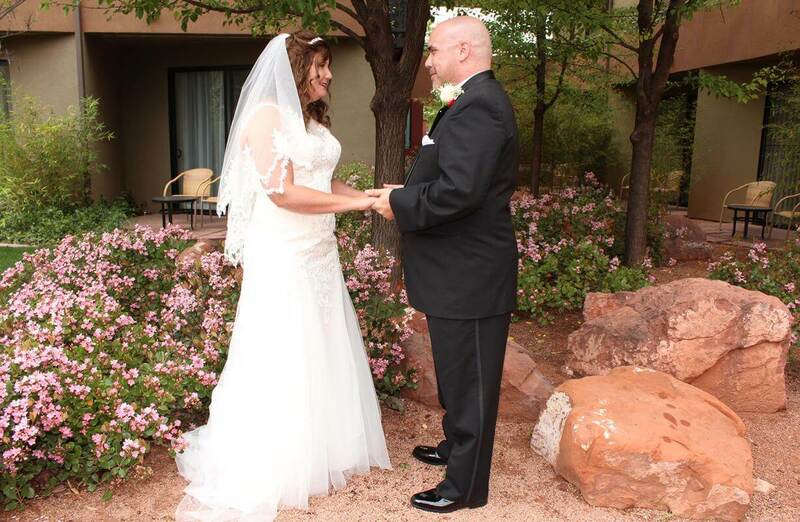 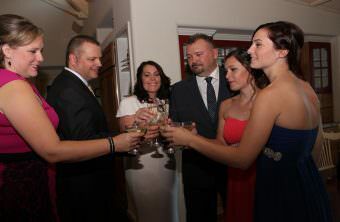 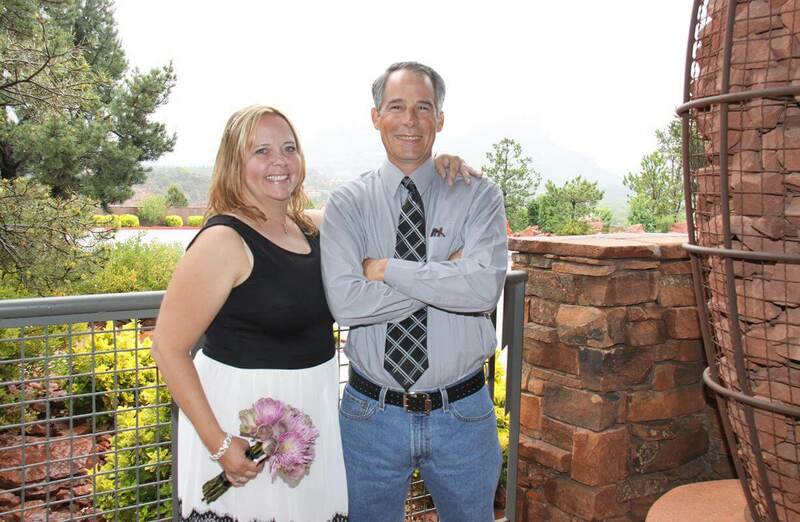 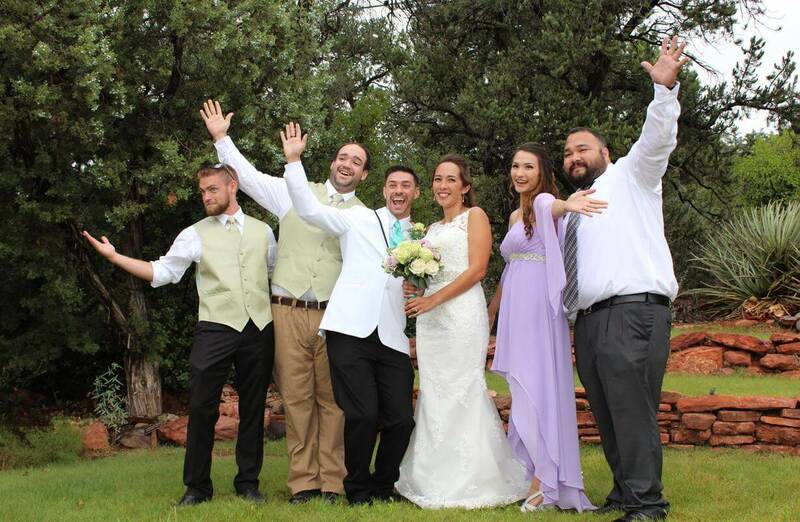 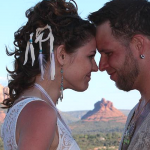 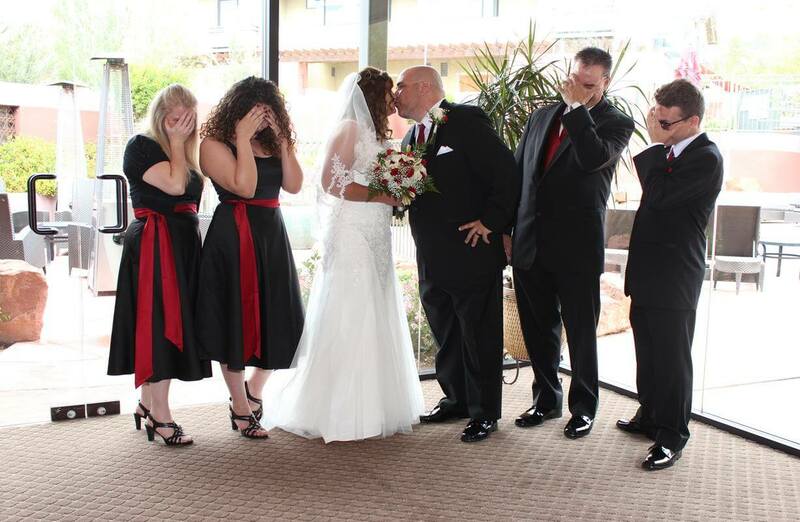 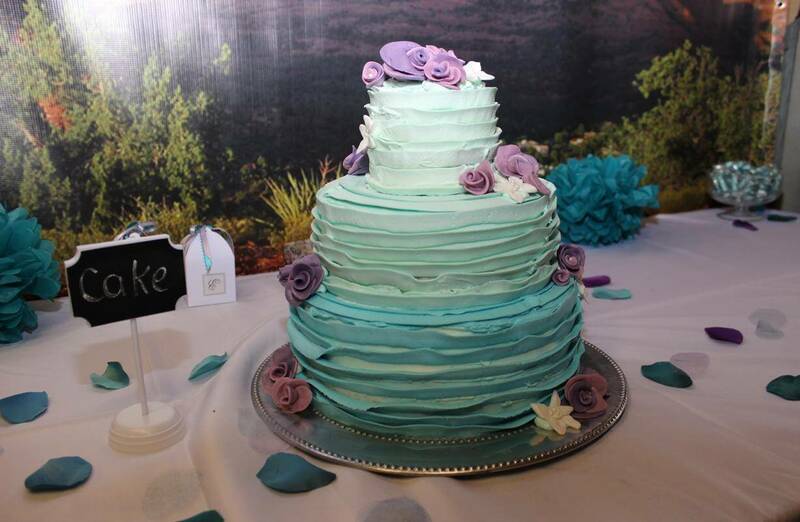 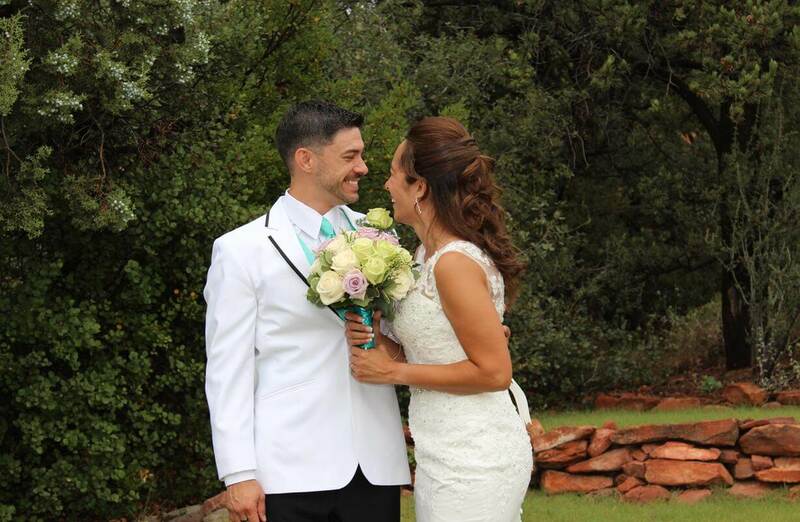 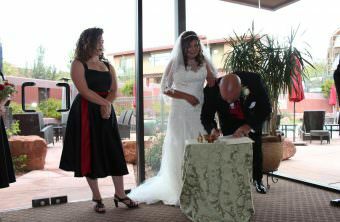 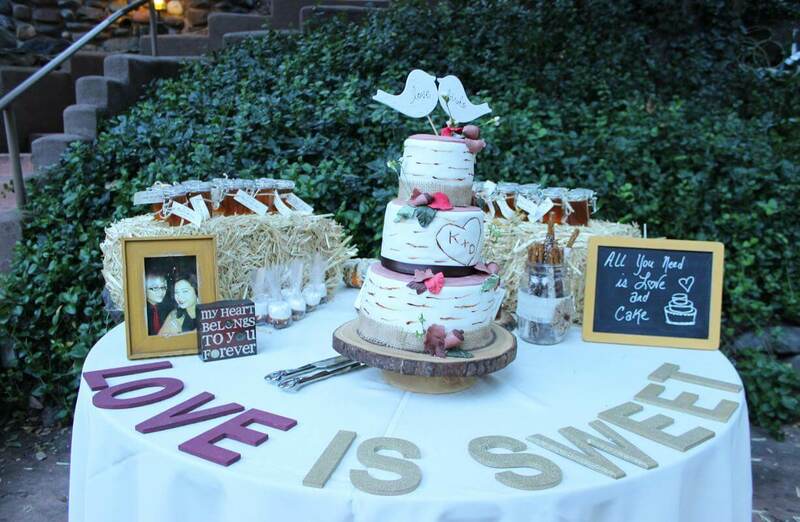 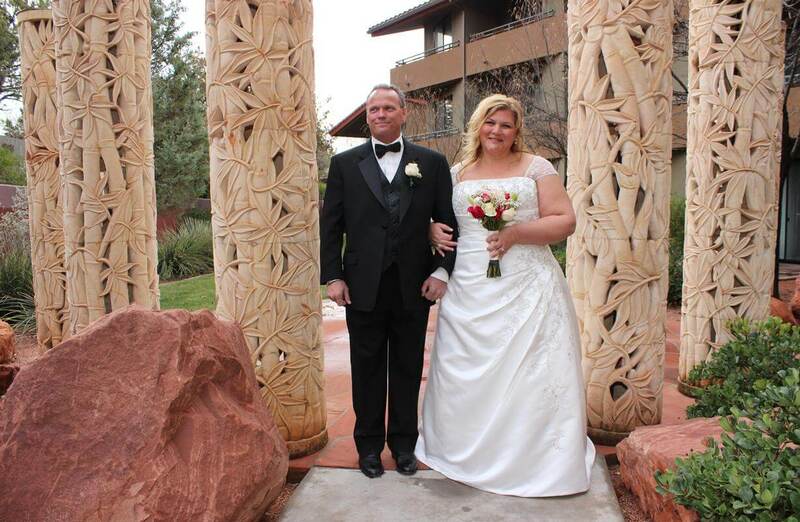 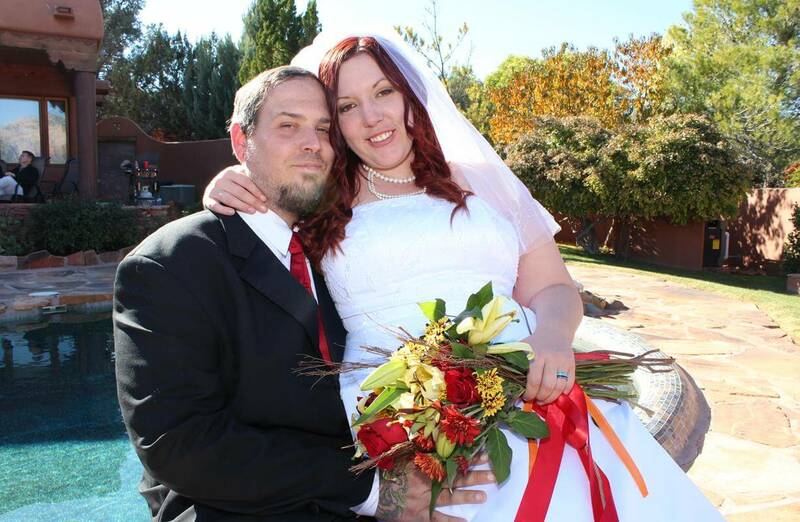 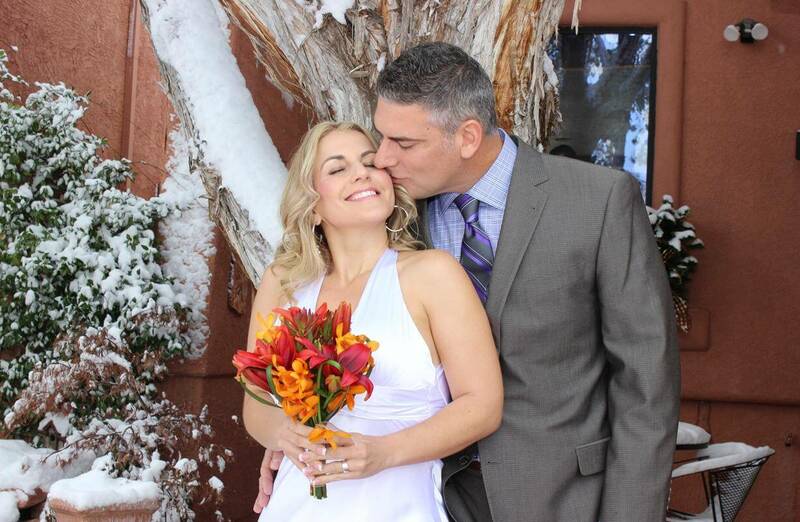 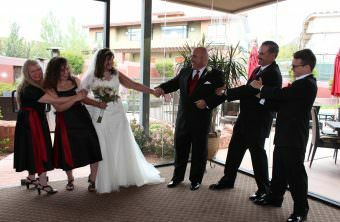 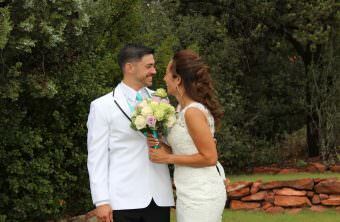 “Getting married outdoors with one of the most beautiful red rock views in Arizona and so much positive energy was an unforgettable experience!” — Alice and Marco P.
Call us to discuss the options that would be best for your big day! 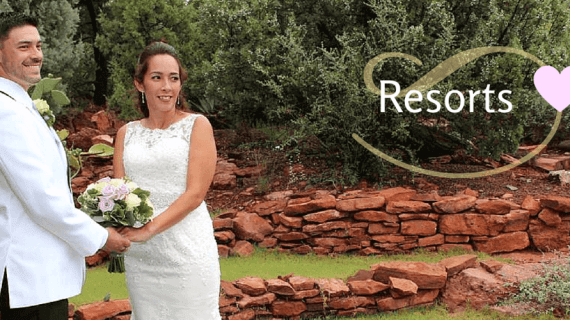 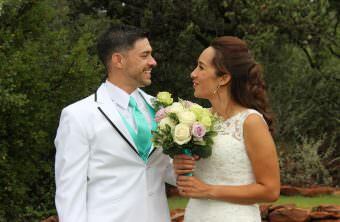 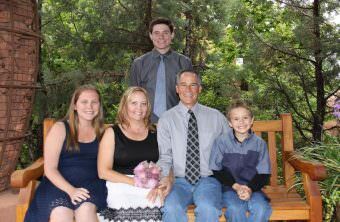 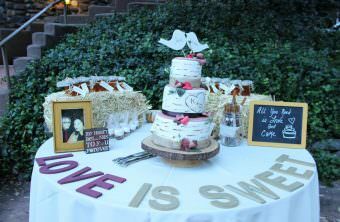 Here’s a gorgeous Video Keepsake from one of our weddings at Amara Resort, followed by photo sessions at Oak Creek and Cathedral Vista.